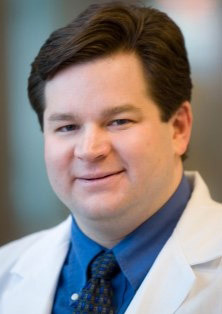 Dr. Brian Fife is an Associate Professor of Medicine within the Division of Rheumatic and Autoimmune Diseases at the University of Minnesota Medical School. He joined the division in February 2008. He is also a member of the interdisciplinary Center for Immunology and its Autoimmunity Program. Within the Center for Immunology, Dr. Fife serves as the Imaging Core Director using advanced imaging techniques in his own research program. In December 2001, Dr. Fife graduated from Northwestern University Medical School. It is there that he initiated his research interests in autoimmune mediated diseases. Following graduation, Dr. Fife joined the Diabetes Center in the Department of Medicine at the University of California at San Francisco for postdoctoral research. The major focus of his research program is the restoration of immunological self tolerance for treatment of autoimmunity. Dr. Fife is interested in understanding immuological tolerance during Type 1 diabetes and focuses his efforts on understanding checkpoint blockade and the role for inhibitory pathways such as CTLA-4 and PD-1. This work has extending into tumor immunology and understanding the mechanisms involved in checkpoint blockade. Research in our lab is focused on understanding the fundamental mechanisms that regulate T lymphocytes during autoimmune disease such as Type 1 diabetes mellitus (T1DM). T1DM is an autoimmune disorder resulting from the T cell mediated destruction of the insulin producing cells within the pancreas. At the root of autoimmunity lies the most important aspect of immune regulation, the ability to discriminate between self and non-self. This highly selective response is characterized by a complicated set of mechanisms which regulate T lymphocyte activity. Autoimmunity results when these mechanisms fail. Recently, we have generated a powerful treatment protocol to selectively target autoreactive cells. Using this type of approach allows us to re-educate the immune system to selectively silence destructive immune responses. Thus in effect, restore a state of self-tolerance and prevent further tissue destruction. We have identified two key regulatory pathways that control diabetes and promote tolerance, Cytotoxic T lymphocyte antigen-4 (CTLA-4) and Programmed Death-1 (PD-1). We have shown that these pathways control both anergy induction and long term maintenance of tolerance. Recent studies have focused on the in vivo imaging of the immune response using two photon microscopy. Using this tolerance protocol will allow us to determine the precise roles of these negative regulatory pathways at different stages during disease pathogenesis to control immunity and enhance tolerance. Mitchell JS, Burbach BJ, Srivastava R, Fife BT, Shimizu Y. 2013. Multistage T cell-dendritic cell interactions control optimal CD4 T cell activation through the ADAP-SKAP55-signaling module. J Immunol. Sep 1;191(5):2372-83. Gerner MY, Heltemes-Harris LM, Fife BT, Mescher MF. 2013. Cutting edge: IL-12 and type I IFN differentially program CD8 T cells for programmed death 1 re-expression levels and tumor control. J Immunol. Aug 1;191(3):1011-5. Pauken KE, Jenkins MK, Azuma M, and Fife BT. 2013. PD-1, but not PD-L1, expressed by islet-reactive CD4+ T cells suppresses infiltration of the pancreas during type 1 diabetes. Diabetes. Aug;62(8):2859-69. Melton AC, Bailey-Bucktrout SL, Travis MA, Fife BT, Bluestone JA, Sheppard D. 2010. Expression of ?v?8 integrin on dendritic cells regulates Th17 cell development and experimental autoimmune encephalomyelitis in mice. J Clin Invest. Dec;120(12):4436-44. Catron DM, Pape KA, Fife BT, van Rooijen N, Jenkins MK. 2010. A protease-dependent mechanism for initiating T-dependent B cell responses to large particulate antigens. J Immunol. Apr 1;184(7):3609-17. Fife BT, Pauken KE, Eagar TN, Obu T, Wu J, Tang Q, Azuma M, Krummel MF, and Bluestone JA. 2009. Interactions between programmed death-1 and programmed death ligand-1 promote tolerance by blocking the T cell receptor-induced stop signal. Nat Immunol. Nov;10(11):1185-92. Fife BT and Bluestone JA. 2008. Control of peripheral T cell tolerance and autoimmunity via the CTLA-4 and PD-1 pathways. Immunol Rev. Aug;224(1):166-82. Zhou X, Jeker LT, Fife BT, Zhu S, Anderson M, McManus MT, and Bluestone JA. 2008. Selective miRNA disruption in Tregs leads to uncontrolled autoimmunity. J Exp Med. Sep 1;205(9):1983-91. Fife BT, Guleria I, Gubbels-Bupp M, Eagar TN, Tang Q, Bour-Jordan H, Yagita H, Azuma M, Sayegh MH and Bluestone JA. 2006. Insulin-induced remission in new onset NOD mice is maintained by the PD-1/PD-L1 pathway. J Exp Med. Nov 27;203(12):2737-47. Fife BT, Griffin MD, Abbas AK, Locksley RM, and Bluestone JA. 2006. Inhibition of T cell activation and autoimmune diabetes using a B cell surface-linked CTLA-4 agonist. J Clin Invest. Aug;116(8):2252-61. Tang Q, Adams JY, Tooley AJ, Bi M, Fife BT, Serra P, Santamaria P, Locksley RM, Krummel MF, and Bluestone JA. 2006. Visualizing regulatory T cell control of autoimmune responses in non-obese diabetic mice. Nature Immunology Jan;7(1):83-92. Fife BT, Kennedy KJ, Paniagua MC, Lukacs NW, Kunkel SL, Luster AD, and Karpus WJ.2001. CXCL10 (IFN-g-inducible protein-10) control of encephalitogenic CD4+ T cell accumulation in the central nervous system during experimental autoimmune encephalomyelitis. J Immunol. Jun 15;166(12):7617-24. Fife BT, Huffnagle GB, Kuziel WA, and Karpus WJ. 2000. CC chemokine receptor 2 is critical for the induction of experimental autoimmune encephalomyelitis. J Exp Med. Sep 18;192(6):899-905.